I think there’s a few of you here who have the same taste as I do and would agree. This is the public unveiling of my so-called “pinnacle piece”. This is my grail. This is my favorite car ever. This is my first high-end 1/18 piece. 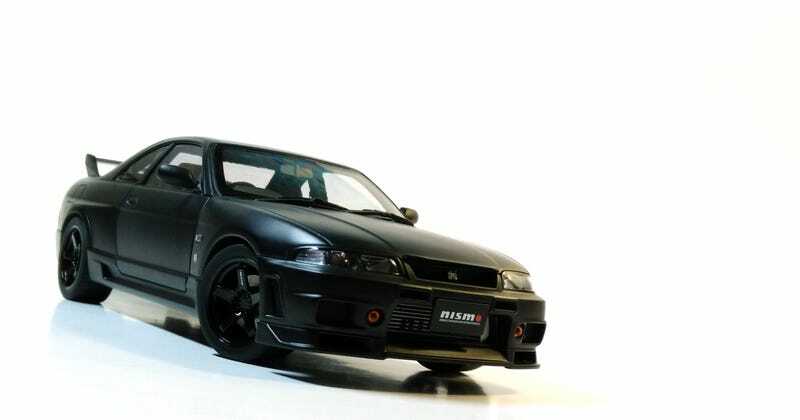 This is the AUTOart Nissan Skyline GT-R R33 Nismo R-Tune. If you feel like reading what I have to say (which is basically the same thing I’ve been repeating to you guys about the R33), you can see it over at my blog. I think the pictures tell a lot already. As if I needed to say it, I love this model. Worth every penny, and it was a lot of pennies (to me).